What happens when you combine the fancy hats of Saratoga Race Course and pink, the color of breast cancer awareness? The Sizzling Hot Pink Saratoga Hat Luncheon! 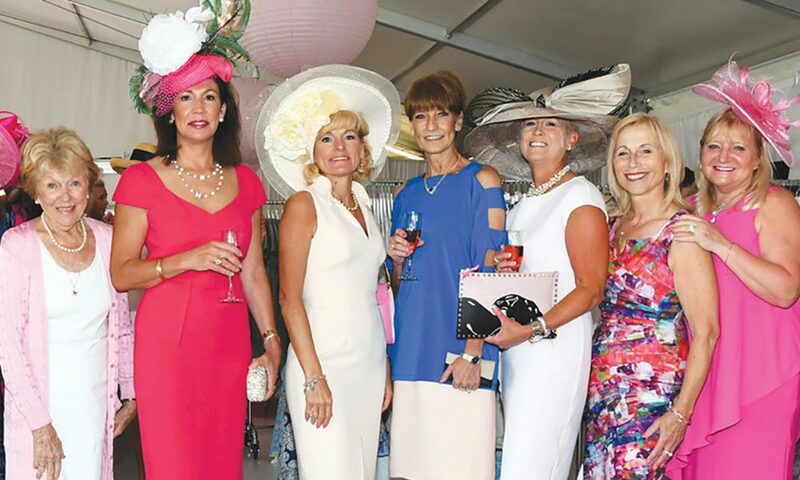 A much-anticipated event for Saratoga’s leading ladies, the annual luncheon will be held August 9 at Saratoga Race Course’s At The Rail Pavilion. This year’s event will honor Vivien Malloy, a top Thoroughbred owner and breeder from Westchester County. Malloy was named top owner and breeder in New York State by the Thoroughbred Owners and Breeders Association, and 2010’s New York Thoroughbred Breeders, Inc. Breeder of the Year. The event kicks off with a champagne reception and vendor boutique at 11am, followed by the luncheon at 12:30pm, which will be highlighted by an open discussion with Larry Norton, MD, the Scientific Director of the Breast Cancer Research Foundation at Memorial Sloan Kettering Cancer Center in New York City. Tickets start at $200 and are on sale now. saratoga living’s the presenting sponsor, so we’ll see you—and your sizzling hot pink hats—there!